For media inquiries and speaking requests, please contact Mary here. 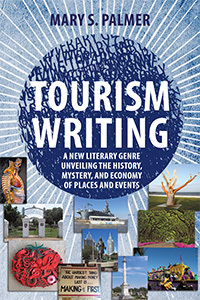 Tourism Writing: A New Genre Unveiling the History, Mystery and Economy of Places and Events, the book for the Faulkner University Grant,is complete; the publisher, Universal Publishers, BrownWalker Press in California plan to release it in September 2018. November 8–11, 2018: I will be a commentator for the Southern Historical Association's panel, along with Wallace biographer Jeff Frederick (Stand Up for Alabama), Reassessing George Wallace. 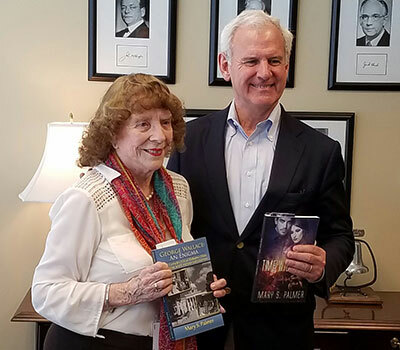 On March 31, 2017, Mary S. Palmer presented Congressman Bradley Byrne with a copy of her recent books. 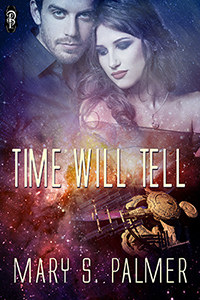 In TIME WILL TELL (2017) is a blurb about Byrne's presenting her with a plaque at the Mobile Carnival Museum October 15, 2014, for her short story about Mobile's Mardi Gras, RAISIN' CAIN, which won the Southeastern Literary Tourism Initiative Award of $500. Congressman Byrne also commented on the new genre of Tourism Writing on the floor of the House of Representatives and his remarks are permanently preserved in the Congressional Record Proceedings and Debates of the 113th Congress, Second Session, September 18, 2014. In addition, Mary presented him with her biography of George Wallace, GEORGE WALLACE: AN ENIGMA (2016). Two special events focused on Alabama’s rich history--a guided bus tour of our battlefield, site of Alabama’s largest Civil War battle and brief presentations and discussions with several accomplished local authors who have recently published works based in Alabama’s storied past. Book signings followed the presentations. Authors at this special event included Mary S. Palmer, Faulkner University English Lecturer: George Wallace: An Enigma. Saturday, October 10: Pensters Writing Group Presentation, Campus of the University of South Alabama in Fairhope, AL. Topic: You Can if You Think You Can—The focus is on motivation for entering writing contests and coauthoring advantages and disadvantages. June 3: Presentation in Pascagoula, MS to the Mississippi Retired Teachers' Assn. TIME WAS, the third installment in my science-fiction trilogy, was released by Musa Publishing Company January 2, 2015. In it, extraterrestrials needing help from Earthling's to save their leader's life send a meteor to Earth to force the issue. People from around the United States and from other countries have shown a great interest in it. Some have the first two in the series—TIME WILL TELL and QUESTION OF TIME and they seem eager to read this one. October 11, 2014: My play ONE LIFE, MUCH INFLUENCE, about Fr. 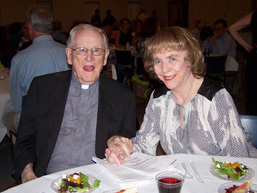 Francis Murphy, an Irish priest in Mobile, was a huge success and the 93-year-old priest, now Msgr. 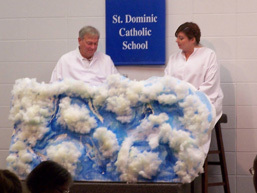 Frank Murphy of St. Dominic Parish, immensely enjoyed reliving his life. It was a sellout of about 250 people. 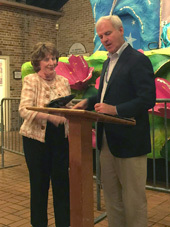 Also, the Awards Presentation, held October 15, 2014, for my story “Raisin’ Cain” was very well attended—about 50 people came to it at the Mobile Carnival Museum. Congressman Bradley Byrne presented me with a plaque as the Winner of the 2014 Selti Award. Archbishop Thomas Rodi, Mobile City Councilman Fred Richardson, FSCC Language Arts Chairperson Dr. Maria Willis and FU Director at Mobile, Dr. Sue Walker of USA, a former Poet Laurete of Alabama, Mrs. Diane Newell, the Director at the Mobile Campus of Faulkner University, Patrick Miller, Selti Founder, and Kathryn Lang, Director of Selti, were present, along with other people. (See selti.org to read the story). Dr. Sue Walker from the University of South Alabama is going to include Tourism Fiction in her course next fall; it’s the first time the subject will be taught in college. Mary S. Palmer and Dr. Sue Brannan Walker were recognized for promoting tourism by U.S. Rep. Bradley Byrne from the floor of Congress on September 18. 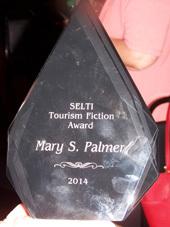 Palmer’s short story, “Raisin’ Cain,” won the Southeastern Literary Tourism Initiative (SELTI) award. 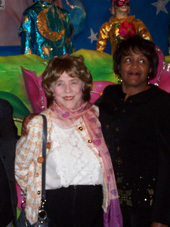 “Professor Palmer’s story highlighted the family-friendly nature of Mobile’s Mardi Gras,” Byrne said. Dr. Walker, an English professor at the University of South Alabama, is a former Poet Laureate of Alabama. Mary Palmer, a professor at Faulkner University, is the author of nine novels and an officer in the Baldwin Writers Group. According to the Alabama Tourism Department, which co-sponsors the contest, $11 billion was spent by over 24 million visitors last year in Alabama. SELTI director Patrick Miller manages the literary content and can be contacted at literary tourism@aol.com. My Mardi Gras-themed short story “Raisin’ Cain” is the first-place winner of the Mobile Bay SELTI Tourism Writing Contest, sponsored by the Southeastern Literary Tourism Initiative and the Alabama Tourism Department. Press release on Musa blog. My story “Double Indemnity” was published in Faulkner University’s literary journal, Images in Ink. I also judged a poetry contest for Faulkner University's Mobile Campus. My play, MURDER MOST SOUTHERN was produced in 2013 by the Mobile Mystery Dinner Theater. A fantasy novella, JOE AND JO, which was originally a screenplay, was awarded Third Place in the 2005 Eugene Walter Writer’s Fest.